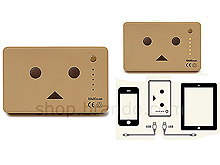 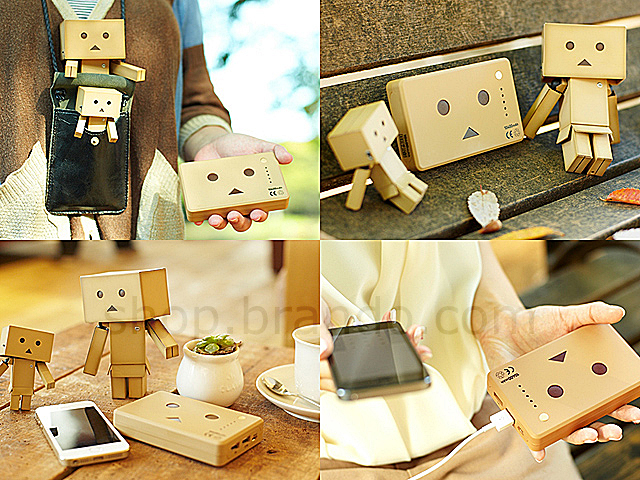 DANBOARD is a character from famous Japanese manga - Yotsubato!, having multitude of fans all over the world. 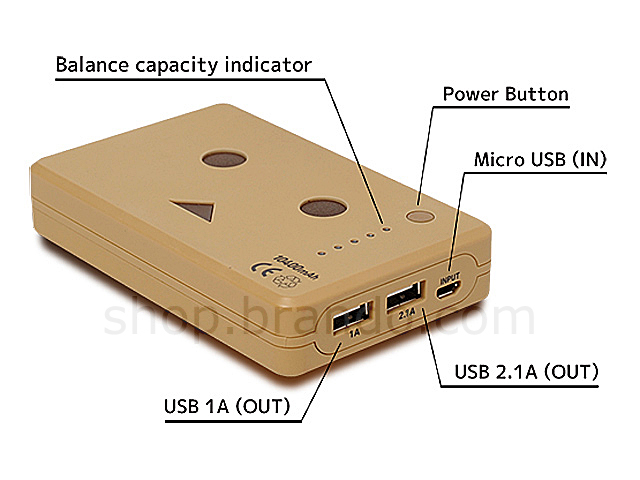 This rechargeable, high capacity (10400mAh) multi-device compliant portable charger with dual USB ouput can charge iPhone fully up to 5 times. 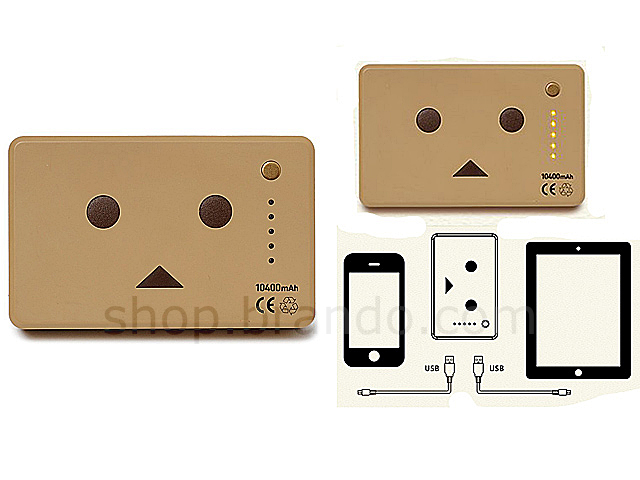 Equipped with a dual USB output, it can charge your two different devices simultaneously. 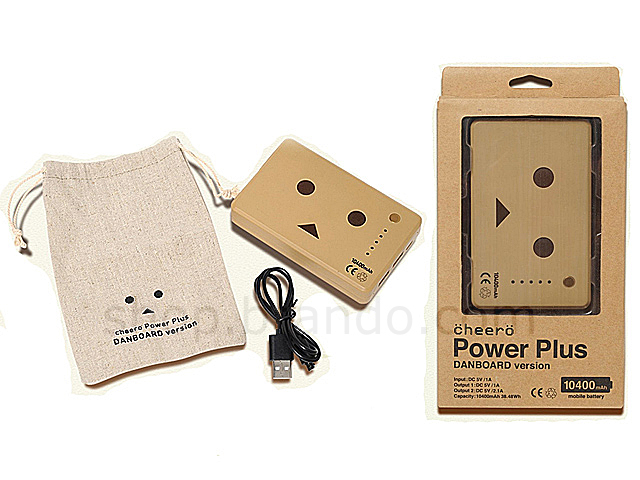 Equipped with original carrying pouch.